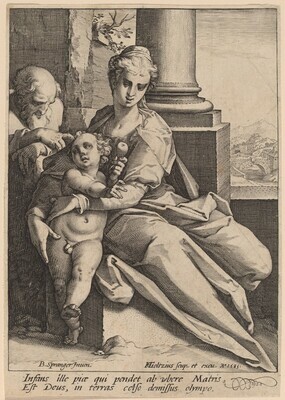 Sotheby's, THE PRINTS OF H. GOLTZIUS, London: 6/27/89, no.69. The New Hollstein Dutch & Flemish Etchings, Engravings and Woodcuts, 1450-1700. Rotterdam: Sound & Vision Interactive, 1996-: no. 337, i/iii.